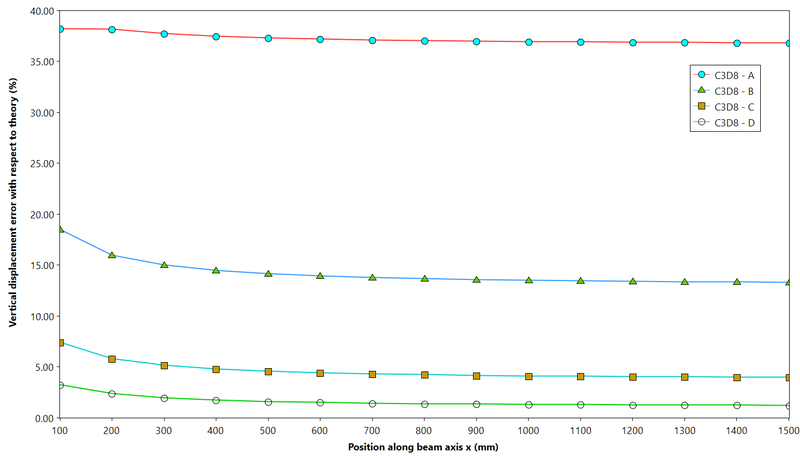 This post presents a comparison between different hexahedral FEM element formulations in a pure bending cantilever beam problem.  FEM analysis results are post-processed within the CAE-Viewer, iChrome tool for CAE models and results visualization. 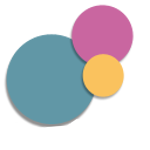 Extracted results are then compared with the analytical solution with Grapheme, the iChrome data visualization and Analysis tool. 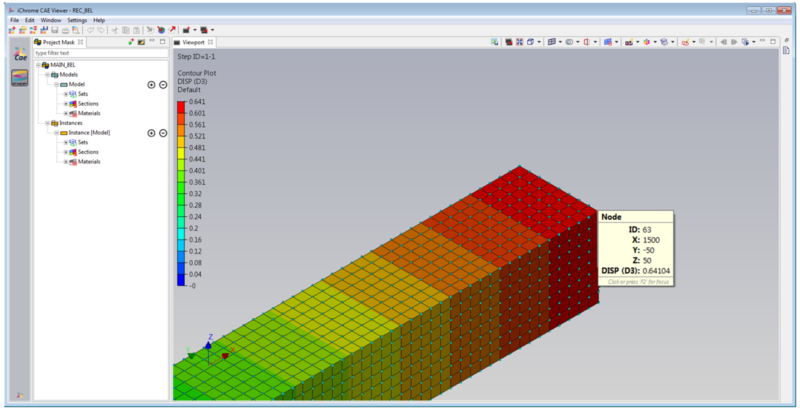 FEM Analysis are performed with the free structural finite element package CalculiX. 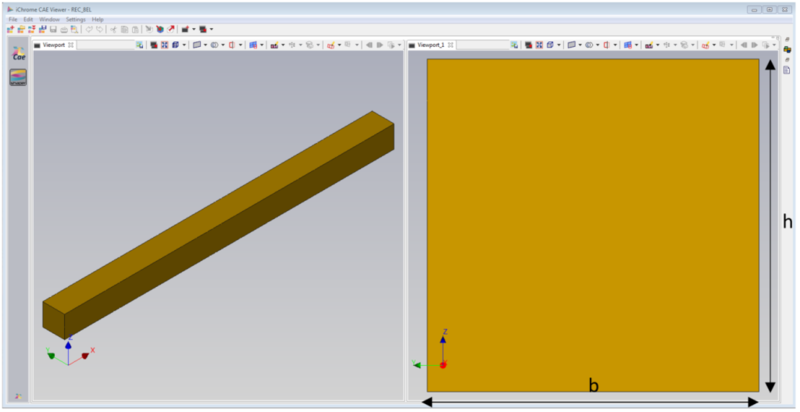 A steel cantilever beam with a squared cross section is considered. Beam dimensions are reported in following table. 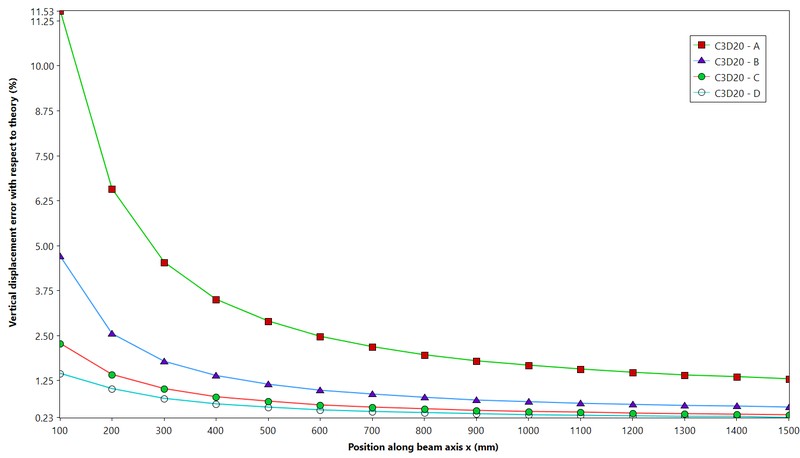 p-refinement: strategy aimed at improving the results by increasing the displacement field accuracy in each element. This method refers to increasing the degree of the highest complete polynomial (p) within an element without changing the number of elements used. In the test case herein discussed, linear hexahedral elements (C3D8/C3D8I in CalculiX) and quadratic hexahedral elements (C3D20 in CalculiX) are used. h-refinement: strategy aimed at improving the results by decreasing the element size while maintaining the same element formulation.  This strategy is usually implemented by dividing each existing element into two or more elements, without changing the original aspect ratio. 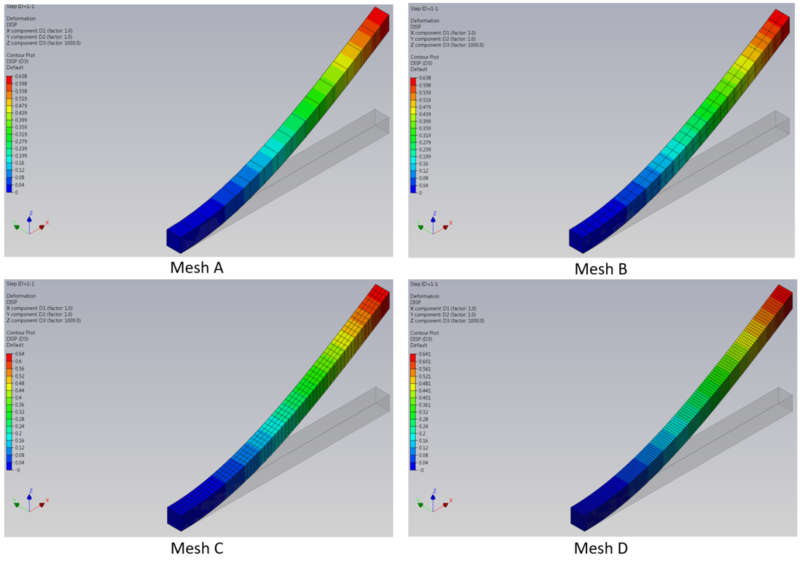 For this test case, four different mesh (A, B, C and D) have been generated via h-refinement. 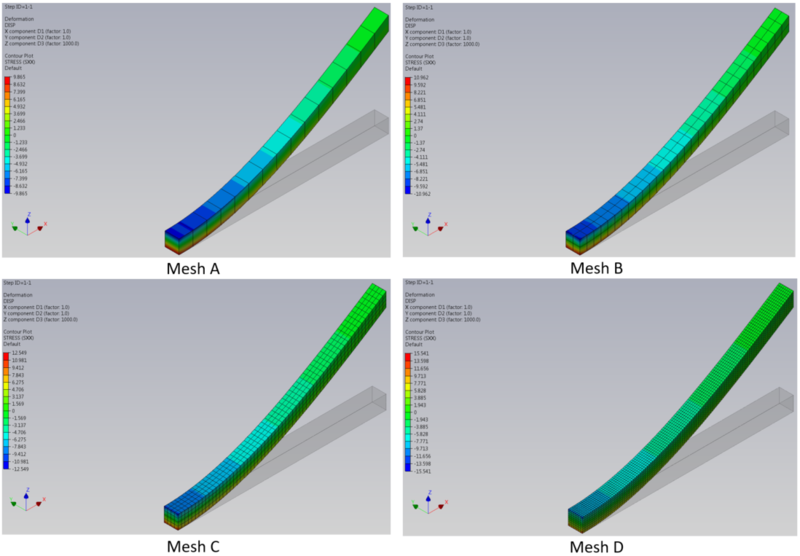 Details for each mesh are reported in the following table. The cantilever beam is clamped at one end and free at the other. On the free end a static load of 1000 N, along z-positive direction, has been applied. 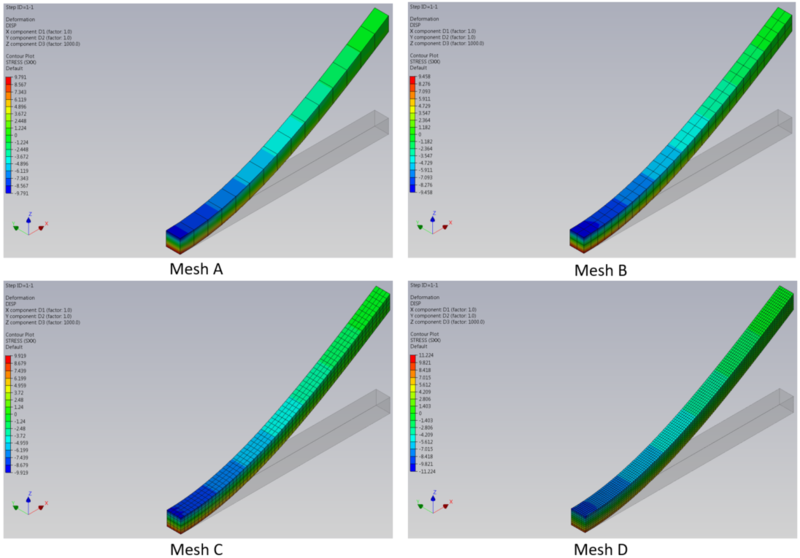 A static analysis has been performed for each mesh and for each element formulation. 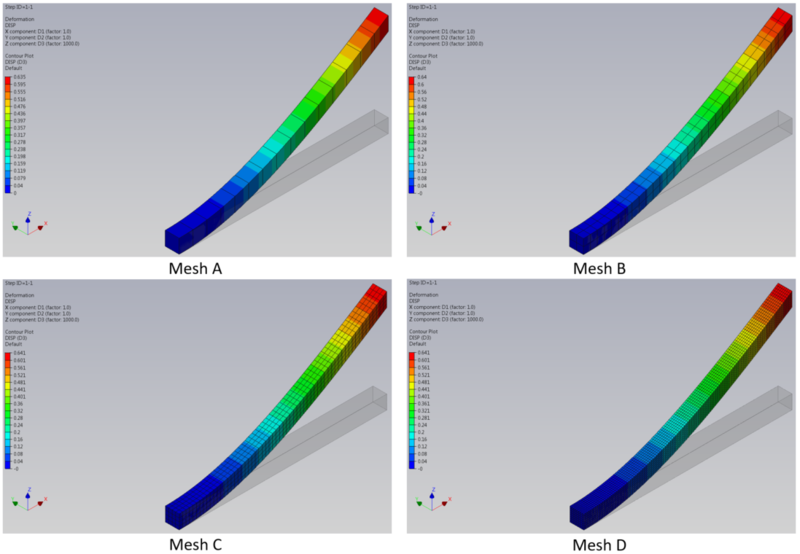 Following tables report the results obtained for each Mesh and for each element formulation. Results are indicated in terms of percent error with respect to the analytical solution. As expected, linear hexahedral elements (C3D8 elements) generally lead to incorrect results in stress distribution and free-end deflection. However the error can be reduced by increasing the number of elements along the beam axis. 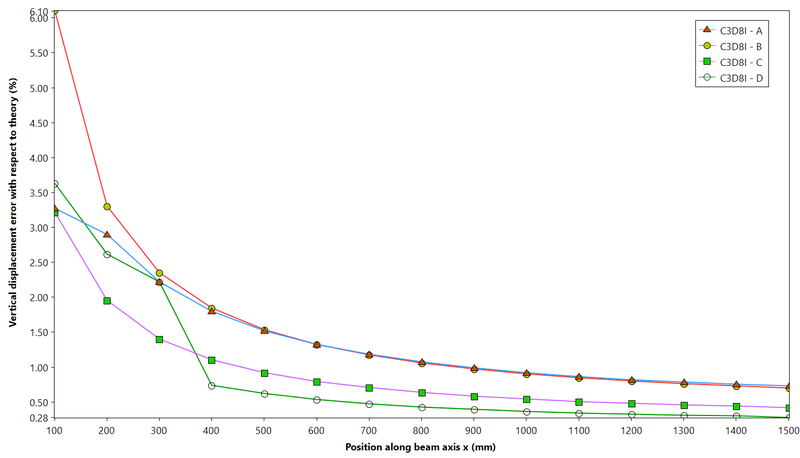 At least four elements along the height (mesh C) need to be used in order to reach a good level of accuracy. For bending dominated problems, enhanced strain formulations (C3D8I) or quadratic shape functions elements (C3D20) lead to good results even with a single element along the height. The incompatible mode eight-node brick element C3D8I is an improved version of the C3D8-element. In particular, shear locking is removed and volumetric locking is much reduced with respect to the standard formulation. 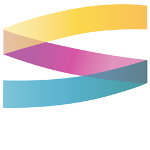 This is obtained by supplementing the standard shape functions with so-called bubble functions, which have a zero value at all nodes and nonzero values in between. The C3D8I element should be used in all instances, in which linear elements are subject to bending. Although the quality of the C3D8I element is far better than the C3D8 element, the best results are obtained with quadratic elements (C3D20). 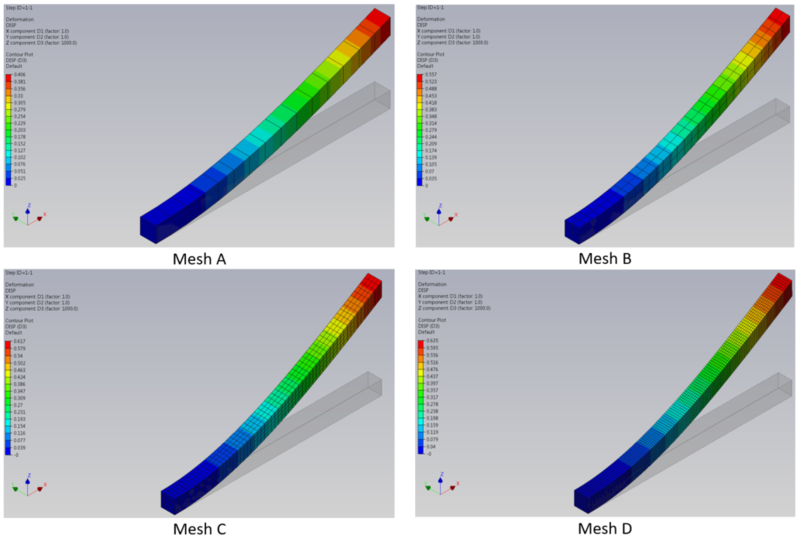 Following images show the vertical displacement and stress contour for each solution. 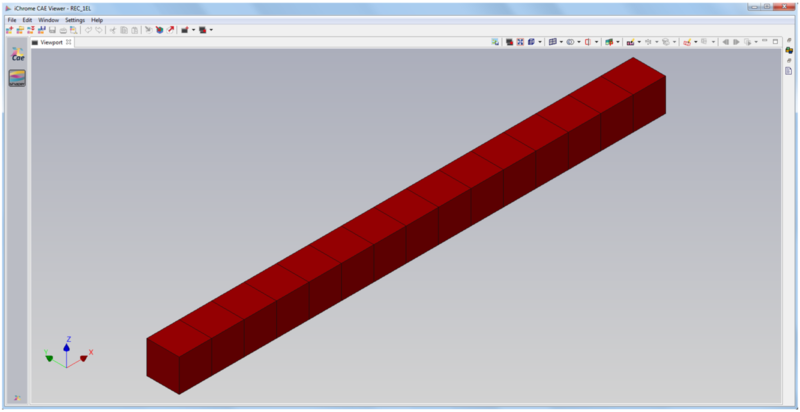 Following images report the Vertical displacement error against the position along beam axis created within Grapheme. In this post we have used the CAE Viewer to post-process CalculiX results of a pure bending problem. 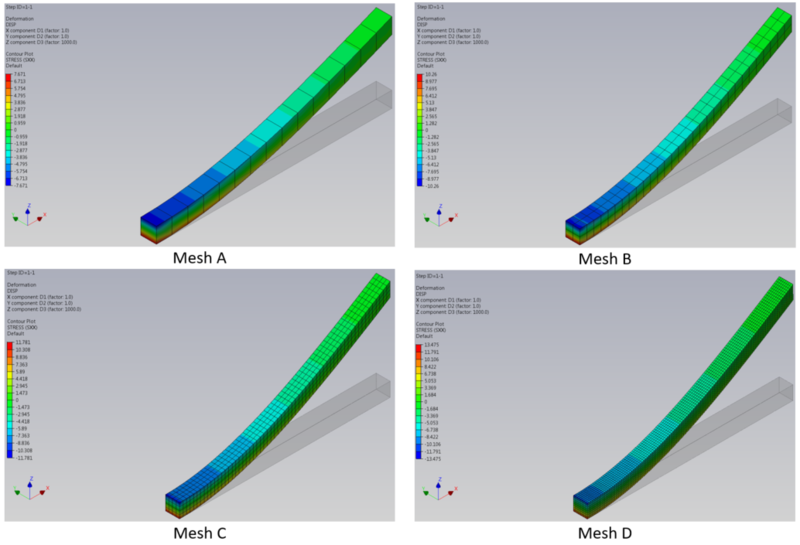 The analytic results (displacement and stresses) have been compared with the finite element solutions using Grapheme. The comparison with analytic results shows that, for bending dominated problems, the quadratic shape functions (C3D20) or enhanced strain formulations elements (C3D8I) are best suited to avoid shear locking phenomena, which lead to incorrect results for both stress and displacement.